In turn-of-the-century India, a young mongoose is adopted by a British family. 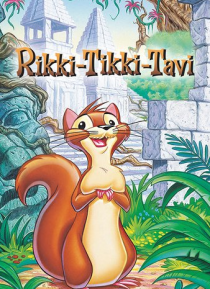 "Every well-bred mongoose hopes to be a house mongoose someday," narrates Orson Welles - and indeed, bushy-tailed RIKKI-TIKKI-TAVI does that (and more) in this exciting Rudyard Kipling classic. In order to protect his new family Rikki must battle evil cobra snakes, Nag and Nagaina.